I love this dress, Like to buy for my wife , its unique dress. 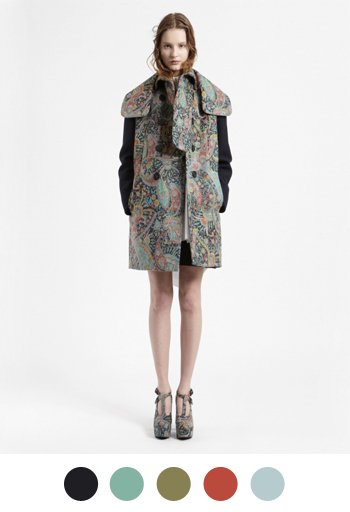 this color palette seems masculine, yet the coat itself is decidedly feminine. Very interesting pattern, love!